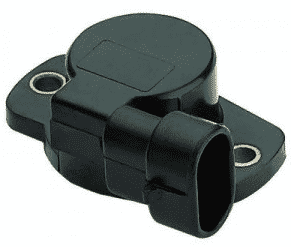 The throttle position sensor (TPS) is an integral part of the vehicle’s fuel management system as it determines the right amount of air/fuel mixture ensuring an optimal performance. The throttle position sensor transmits data about the position of the throttle to the engine control module (ECM) and this information helps to determine how much fuel should be injected to the engine at the right time. The throttle position sensor can fail due to several reasons and as a result of the engine’s performance, as well as the vehicle’s fuel economy, drop significantly. In this article, we will discuss some of the common symptoms which occur if you have a damaged or faulty throttle position sensor. One of the most common signs of a faulty throttle position sensor includes delayed or poor acceleration. Delayed acceleration means that there is a considerable time difference between stepping on the gas pedal and the car actually accelerating. Moreover, if you notice that the car jerks while accelerating, it is most likely due to a damaged throttle position sensor. Vehicle idling refers to running the engine when the car is not actually in motion. If you notice that your engine surges at idle, it may be due to an irregular air/fuel mixture which is linked to a faulty throttle position sensor. If the ECM does not receive a correct information from the throttle position sensor, the throttle will not function properly resulting in idle surging. There are multiple sensors in a vehicle and if any sensor malfunctions, the check engine light illuminates. Although the check engine light comes on due to several other reasons, it is a good idea to check the throttle position sensor, especially if your vehicle is experiencing poor acceleration and idle surging. One of the most dangerous effects of a faulty throttle position sensor is experiencing a sudden speed boost while driving at a high speed on a highway. What happens is that the butterfly valve inside the throttle may shut automatically and if the driver presses the gas pedal too hard, the valve suddenly opens giving the car a small speed boost. This happens when the throttle position sensor is damaged and sends an incorrect signal to the throttle causing it to suddenly open and close. A bad throttle position sensor causes a problem with acceleration which in turn creates a problem with the transmission. If you notice acceleration issues combined with a transmission problem, it is time to inspect the throttle position sensor. The throttle position sensor is actively functioning as the car is moving which is why it has a high chance of getting worn out over the time. Before you visit an auto specialist to get the component replaced, it is recommended to have the sensor cleaned and serviced as a dirty sensor also results in incorrect information being transmitted to the ECM. Turn on the ignition and let the engine run for a couple of minutes. This will automatically clear some of the dust or particles due to the engine heat. Open the vehicle’s hood and attach the hood stand to ensure that it doesn’t fall. Remove the engine covering and locate the throttle position sensor. It is located right inside the throttle body but if you are unable to find it, check your vehicle’s manual. 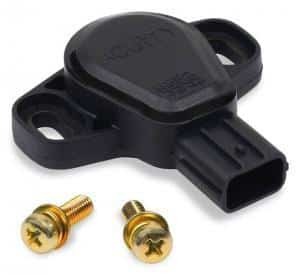 Once the throttle position sensor is found, you’ll notice that it is connected via wires. Disconnect all the wires to ensure that no current is passing through the sensor during the cleaning process. Once the wires are disconnected, remove all the nuts and bolts and remove the sensor from its place. Once you are done cleaning the sensor with the solver, use a clean dry towel and gently rub the sensor to ensure that there is no liquid present. Once the cleaning process is done, install the sensor back in its place. Use the socket wrench to securely screw all the bolts and nuts and close the hood. If you still notice the above symptoms after cleaning the sensor, it is time to replace the sensor. If you still notice a disrupting performance, it is time to visit an auto-specialist and have the sensor checked manually. Your mechanic will check the TPS output voltage with the ignition on at both closed and open throttle. At idle, the output voltage should read 1 volt and will increase as the throttle opens. When the throttle is wide open, the TPS output should read about 4.5 volts. If the voltage reading does not fall within that boundary, your TPS is faulty a needs replacement. The average cost to replace the throttle position sensor comes around $100 and $200. The sensor itself costs between $75 and $110 while the labor cost is approximately $30 and $90. The pricing varies according to the car and the auto repair shops.